When a snack attack hits, skip the store-bought snacks and follow our good-for-you tips. Find out how to set up a snack shelf in your fridge, serve frozen snacks on a stick, and more. Every bite counts! Every week, pack up snack baggies with some snackable veggies like carrot sticks, green pepper slices and cherry tomatoes. Pack chips & dips – for a the salty snack, pack up some tasty tortilla chips and salsa. 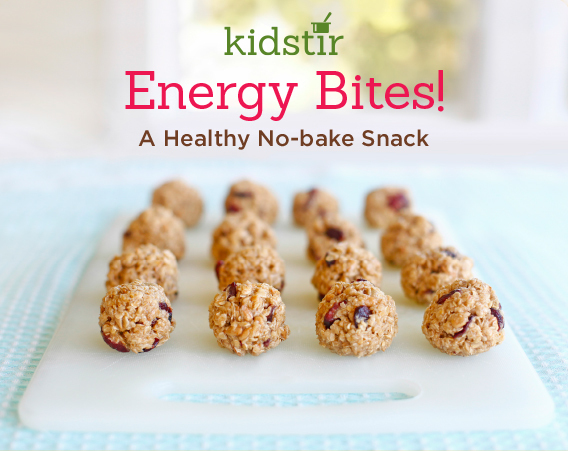 Stir up our recipe for no-bake Energy Bites in a flash! Pop them in your mouth for a quick pick-me-up. They’re easy to make and they taste like mini chewy granola bars. Happy snacking! All the ingredients needed are oats, dried cranberries or raisins, cinnamon, honey, sunflower seeds (optional), coconut oil (or melted butter) and applesauce. Make Munchies and Snack Happy! Good News! Our June Snack Happy! 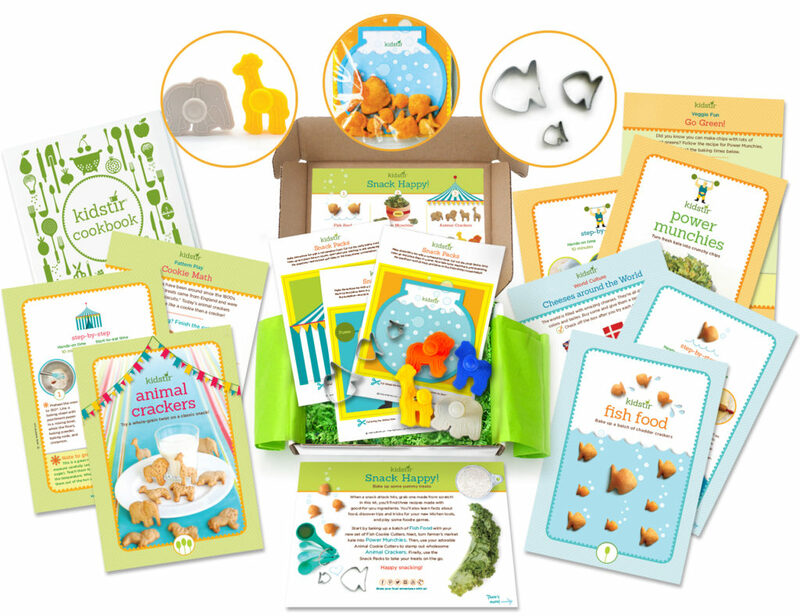 kits are on the way to Kidstir subscribers. Get excited to make munchies and Snack Happy! Not a subscriber yet? Join today! 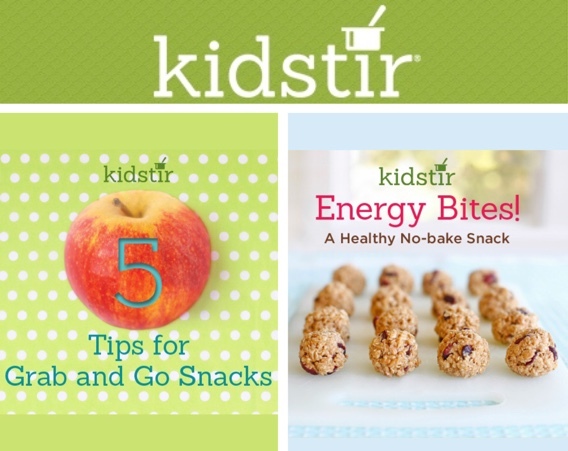 This week only use the code HAPPY and get $5.00 off your new subscription to Kidstir.